Grading on a curve, FX’s Justified might be one of the easier long-running series to jump into cold. If you absolutely had to, you could get away with watching nothing but the pilot before diving into tonight’s premiere of the show’s sixth and final season. The premise was simple in 2010 and it’s simple now: Timothy Olyphant’s Deputy U.S. Marshal Raylan Givens and his literal white hat have been reluctantly repatriated to their native Kentucky and set against Givens’s erstwhile coal-mining buddy, aspiring crime boss Boyd Crowder. 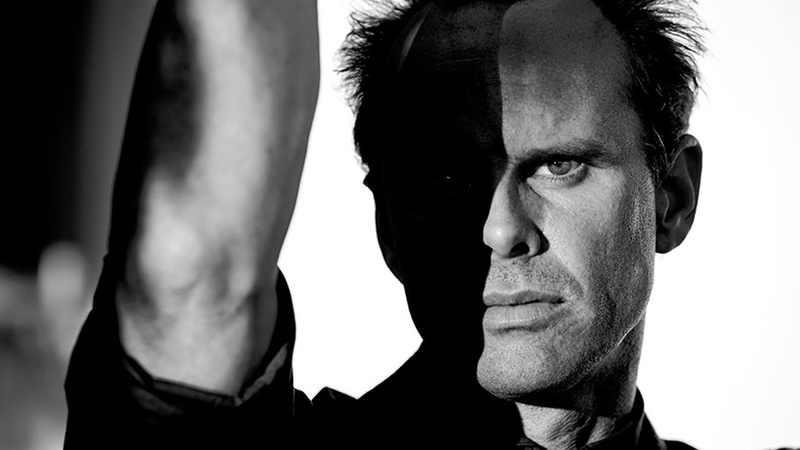 Crowder, played by FX veteran Walton Goggins, was famously slated to serve as Givens’s final casualty in the pilot, dying in line with the Elmore Leonard story that served as the show’s source material, but received a reprieve from the creative team and instead blossomed into Givens’s primary antagonist. In the intervening years, the pair’s fortunes have intertwined, branched off, and reunited, and the penultimate season’s finale set them against one another again in what promises to be as overt an all-or-nothing showdown setting as we’ve seen in Harlan since that first hour. Once more, with feeling, and you’re right on time to catch the big dance number. Boyd has made for a marvelously compelling villain, logging hours of screen time in which, by educated guess, we’ve seen him play maybe two or three scenes of unguarded honesty. He and Raylan have loved the same woman, fought for and against and over their own fathers, and clashed in various capacities with near countless foes, including Kentucky’s own Bennett clan, the Detroit mafia, the Miami mafia, Limehouse, the Drew Thompson steeplechase, the Crowes, and a Mexican drug cartel or two. That’s all pretty goofy to look back on and consider as one unit of time in one actual place, but it’s a credit to the show that it can carry off the menacing of sleepy metropolises with rocket launchers on the regular, that episodes can be straight-facedly titled “Bulletville” or “Slaughterhouse,” and that Raylan and Boyd are still alive and kicking each other. It’s also had to have made for exhausting storytelling shuttle runs by the writers, who’ve imported and dispatched big bads in full-season arcs and supplementary villains for shorter turns while allowing Raylan and Boyd to execute all manner of deadly-seeming stratagems, all with the audience knowing full well that neither can die yet. That’s a hell of a situation in which to have to try to create stakes. At the onset of Season 6, those stakes go to the stratosphere. In the tumbling wake of the rift with Raylan’s boss Art — a rift that stemmed from Raylan confessing his involvement with the shot-up limo death of Nicky Augustine — Art granted Raylan permission to return to service in Florida, where Raylan could (like, theoretically; it’s Raylan) function in a relatively human capacity alongside his estranged wife Winona and their infant daughter. But there’s just one more thing before shipping off, says Assistant U.S. Attorney David Vasquez in the Season 5 finale, and for once Vasquez isn’t about to accuse Raylan of something terrible that he probably definitely did. Absent any visible deaths, the greatest tragedy may have already passed before our eyes in the space of two scenes in the Season 5 finale. There’s this Marshal-marshaling in the office, with Rachel and Vasquez detailing to Raylan their plans for building a “coffin-serious” RICO case against Boyd, leading Raylan’s mouth to actually form the words “Why didn’t you say so?” HOOWEE Y’ALL. IT’S CLOG-FIGHTIN’ TIME. But there’s also the moment that precedes this, when Winona breaks down in joyful tears over Skype at the thought of him joining her in Florida, where she’s currently raising their infant alone. Did Raylan even blink at the thought of tossing all of that out the passenger-side window to go galloping off after Boyd again? “Before you go,” indeed. So Raylan, set against Boyd by Art in the first episode of the first season, has trained his sights on the tiny tyrant again. You’re technically caught up. But reducing Justified to its starting line and concluding lap knocks some phenomenal performances out of your view. There was Margo Martindale as Mags Bennett, the marvelously complex matriarch of the second season and the author of what’s unassailably the show’s greatest exit to date.1 There was Neal McDonough as platinum-haired, circus-eyed Detroit thug Robert Quarles, and Mykelti Williamson as literal butcher Ellstin Limehouse, both of whom were appointment television during their time in Harlan. And there’s still Jere Burns’s noted women’s tennis enthusiast and longtime recurring antagonist Wynn Duffy, who appears poised to play a central role in the final season alongside what we’re praying will be an extended arc from Mary Steenburgen as playful, deadly mob widow Katherine Hale. Even singling out individual actors feels too reductive to Justified’s body of work, though. Raylan and Boyd have traversed a switchback path to get to this point. They had themselves a standoff at the beginning, and if the show goes where it’s pointed, they’ll have another one at the end. This has never been a series all that big on surprises; the merit of Justified lies in its mostly meticulous craftsmanship, in its ability to focus and draw out dread, and in finding moments of beauty and poignancy in grim inevitability. Even if you choose to view every moment between the pilot and the ultimate confrontation as a riotous kind of detour between shootouts, remember as you watch Raylan’s and Boyd’s boot heels marking their final steps in this pattern that this all spiraled from one moment of mercy in March 2010, when a dead-shot Deputy U.S. Marshal deliberately missed the heart of his target because they’d dug coal together once upon a time. Remember that Raylan let Boyd go again, in pursuit of the Miami shooter who’d felled Boyd’s father, whose location Boyd had given up to Raylan to save his brother’s widow (who was widowed, of course, on account that she’d shot him). Remember that Boyd once picked a fight with Raylan to get back into prison so he could shake down Dickie Bennett for his mama’s fortune. Remember that Raylan’s own father all but adopted Boyd in place of his actual son and gunned down another lawman thinking he was Raylan. Remember how Joelle Carter’s Ava was so luminescent in the show’s early episodes that they could’ve lit interior sets by her skin, and that her time in prison has metamorphosed her into volcanic rock. Remember how Ava’s own moment of mercy — sparing Ellen May and killing Delroy — is what put her behind bars in the first place, tearing her from her fiancé and setting the stage for Raylan to ultimately spring her from the state pen, throwing them back together in an undercover asset/handler capacity to take down Boyd from inside the walls of her home and his heart. Remember, too, that Boyd spares Dewey Crowe near the end of Season 1, and what good that does everybody. Remember that even discounting all the no-count members of his own family he’s knocked off, Boyd bears tangential responsibility for Dickie Bennett’s murder of Raylan’s stepmother, Helen, and is at the same time the one who made sure Arlo Givens took his meds. Remember the last thing former Sheriff Hunter Mosley said to Raylan, back near the end of Season 4: “You listen to what your mama taught you, and not that old sumbitch, you may turn out all right. But I wouldn’t count on it. ’Cause I think we both know whose voice it is makes you do what you do.” What might the late Mrs. Givens have said on the topic of sparing Boyd, had she even an inkling of what was coming after? As the Givens-Crowder nuclear clock ticks between 11 and midnight, we know who Hunter meant in the moment, but is it even Arlo’s voice that Raylan hears anymore? Has it been for some time now? Jump this January into The Americans, Martindale’s other former FX joint, without backtracking to Justified’s early episodes and you’ll be missing a performance that makes us equal parts delighted by her success and pissed that she had to die after a single season in imaginary Eastern Kentucky.